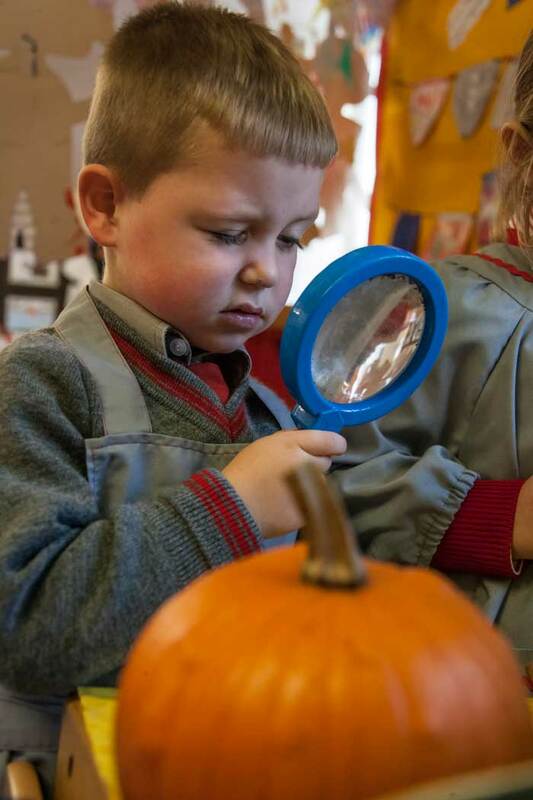 Within our EYFS department we treat every child as an individual, with special interests and needs. We place great importance in getting to know your child very well. We will provide your child with a developmentally appropriate curriculum full of exciting activities to stimulate and fill them with the desire to learn. Small classes and dedicated and enthusiastic staff ensure that your child’s progress is consistent and often exceeds their age predicted ability. The Nursery class is very much part of the Salterford House School family. The children wear school uniform and have the opportunity to spend time with the older children, building upon the school’s nurturing environment. This inclusive setting helps to provide a smooth transition into our Reception class. The Nursery Classroom is spacious and bright, where the children can build castles from boxes and bricks, they can learn ICT, pre reading and mathematics skills, play with sand, water or paint and enjoy messy play. Outside in the wooded area you will find our special EYFS space where the children can explore nature, ride wheeled vehicles or use the climbing equipment. Our Reception class is known as Pre Prep and at this young age, we believe it is important for children to love being at school, creating long-lasting memories and finding confidence in their abilities. We are very proud of their achievements and encourage them in all aspects of the curriculum as well as developing their social skills. Fun and enjoyment is at the heart of the younger children's learning with our teachers and nursery staff working hard to create a positive, exciting and stimulating learning environment. We appreciate that every child is different, so our lessons and activities are tailored around the children helping them to develop their skills and early learning goals as well as their interests in sports, music and drama. Parents are also an important part of our school, being invited to attend school events where possible. In addition to our regular parents' evenings, they are welcome to speak to our staff or headmistress should they have any questions or concerns.